Heh heh, funny thing… I thought that I had pre-written a review for this episode after I finished writing the episode itself (that would have been back in June, if memory serves)…but if that review ever existed, it’s missing now, likely gone forever. So…let’s see what I can remember. I mentioned the time skip that happened in the review of the last episode, and, as I said there, all it really did is cut out a lot of story-lacking content intended for the format of a game. It would have been boring and senseless for me to write, and only slightly less boring for you to read, I hope. The meaning of the episode title “In Due Time…” is that this episode served as a major lead-in to the next arc in The Chaos Project, all about what’s going on with Shadow. I guess I should go there next. For some time in this story, I have been emphasizing that Sonic, while still physically capable, has had a recent personality change that has left him less psychologically capable of being a hero, a “fool” in the words of as many characters as I could possibly get to say it. Ever since Roger Craig Smith began voice-acting for Sonic (particularly in Sonic Colors), I have been noticing such a change. I needed Sonic to be a strong and mildly serious character for my series, more like he was in the late-Dreamcast early-Modern era of Shadow the Hedgehog through Sonic and the Black Knight, as performed by voice-actor Jason Griffith (I like Ryan Drummond too, but he didn’t get as serious) . Rather than simply ignore Sonic’s current personality, as many writers would, I decided not only to do something about it, but to use it to my advantage, and give Sonic a real character development arc. I thought, “Who better to snap Sonic out of his recent clouded judgement than the strong and serious character who has been missing from his life for all of this time?” It didn’t take long after that to imagine the scene in question. Funny thing is, that scene wasn’t originally intended for this arc at all, back before I had really planned these game ideas out as a real story. 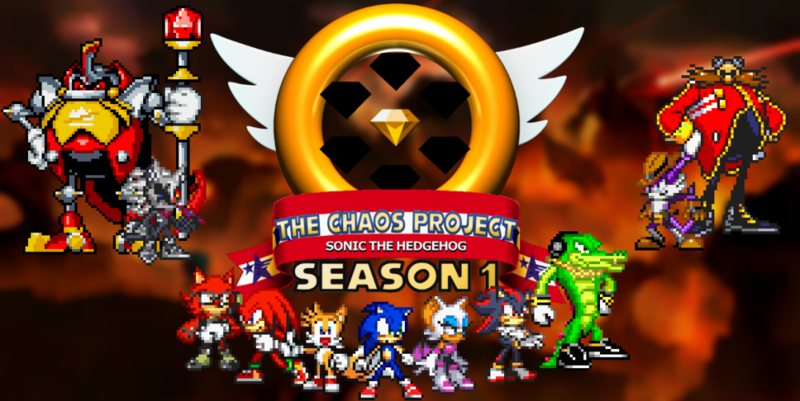 It was more likely going to be in the arc which will provide backstory for Chaos the Hedgehog, which I estimate to be about 14 episodes away at this point. Of course, that arc was supposed to take place a little earlier at that point, so it wouldn’t have been all that bad that way. Actually, I originally imagined the scene in a grassy, outside area, and Sonic would have been hit into a tree instead of a wall. Anyways, when planning out this story, after putting everything in proper order, I decided very early on that I couldn’t go writing Sonic’s dialogue in the modern style for 20 episodes before he changes, that just wouldn’t have worked for me, and I don’t think that I could’ve been able to keep it up. So I knew that I had to do it now or never, and I chose to do it now. You may or may not have noticed a slight oddity in that Sonic was sent after a Sapphire which was only a very brief time in his own future, which Janice could easily have chosen as the time to recruit Sonic and sent him after it immediately. I still have a couple of excuses for that, either that Janice hadn’t found that Sapphire yet, or that she didn’t need to send him after it because she thought it would be faster to give him the one that she had. Point is, you may have noticed that the scene was kind of spliced in there. I could potentially have avoided such awkwardness by making the event in Sonic’s somewhat distant future instead, and there would have been an interesting layer of story added by having older Shadow suggest that Sonic has been this “fool” for years and years, and something went very wrong because of it. That would have been a nice bit of inspiration for Sonic to make the change. It was a choice between that, and leading into the next arc of this story with Shadow (which wouldn’t have worked if I made it in the far future). And, as mentioned above, I chose the lead-in. Maybe it was a mistake, but there’s no going back now. – Live and learn, every day! This entry was posted in Episode Review and tagged Avatar: The Last Airbender, Black Cloak Arc, Cast by the Light, Chaos Emeralds, Chaos the Hedgehog, Jason Griffith, Knuckles the Echidna, Roger Craig Smith, Ryan Drummond, Shadow the Hedgehog, Shadow the Hedgehog (2005), Silver the Hedgehog, Sonic Adventure 2, Sonic and the Black Knight, Sonic the Hedgehog, Speed of Time Arc, The Controller, The Master Emerald by Chaos Project. Bookmark the permalink.